It is probably the most exquisite and delicate mousse of all made with tender asparagus from Navarra. Recommended as hors d’ouvres as a side dish for white fish in salads or just on top of crackers. It's finger-licking good! Asparagus from Navarra are widely known for their tenderness and characteristic flavor. Rosara captures the essence of the Navarran asparagus in the most delicate cream of all, adding a small amount of leeks and other vegetables. It has no additives or preservatives. The riviera of Navarra is very popular for the fertility of the land, as well as the quality of its vegetables. It is with these products that Rosara makes its cream of vegetables. They bring the main ingredients (leeks, celery, chard, carrots and potatoes) and use them fresh in order to keep all the vitamins and flavor so distinguishable in this delicious cream. Cold vegetable soup. Made only from fresh vegetables and finest quality ingredients. No added coloring or preservatives. 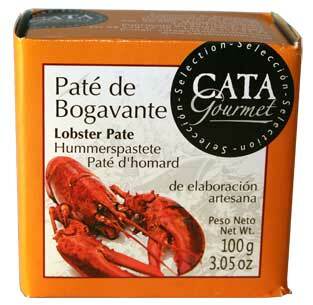 Ingredients: lobster, hake, lobster fumet, vegetal margarine, milk, eggs, brandy, natural spices and salt. Delicious mousse made with Boletus Edulis from the Navarran Pyrenees. Recommended as a side dish for meat and fish as hors doevres or on top of crackers. Made with all natural ingredients: Red scorpion fish, hake, tomato, vegetal margarine, milk, eggs, sherry, natural spices and salt. Mousse made of swimming crabs shrimp fish broth cream eggs and natural spices. This combination is a work of art for the palate. Recommended as hors douvres as a side dish for fish in salads or just on top of crackers. Tomate frito is constitutive of Spanish cuisine. Fresh tomatoes are then sauteéd with olive oil, no preservatives and no colorants added. 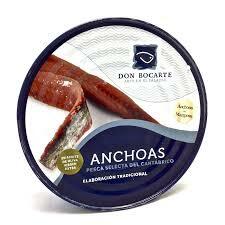 All natural ingredients: white tuna, vegetal margarine, milk, eggs, peppers, natural spices and salt.